A photograph of the Hollenberg ranch house in Washington County, Kansas. This house was built in 1857 by Gerat H. and Sophia Hollenberg, establishing a way station for travelers on the Oregon-California Trail, and from 1860 to 1861 they operated a Pony Express station. 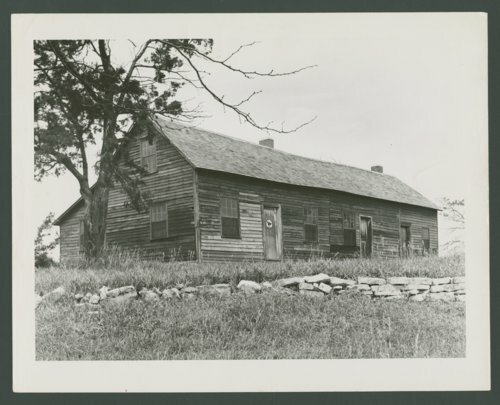 After Gerat Hollenberg's death in 1874, the station became a farm home until 1941 when the Kansas Legislature purchased the building and the surrounding seven acres. The site was listed in the National Register of Historic Places in 1961 and two years later, the Kansas Historical Society was given the responsibility to operate it as Hollenberg Pony Express Station Historic Site.